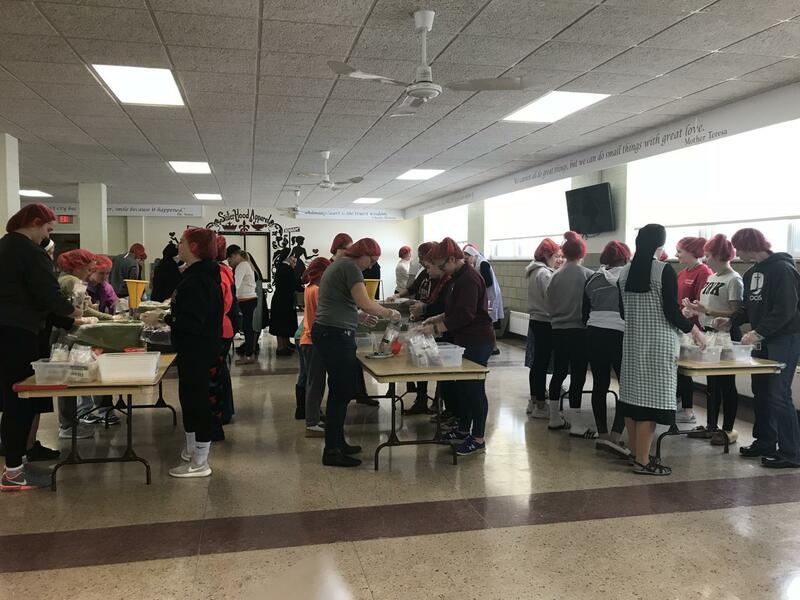 On Saturday, March 10, 2018 Sacred Heart Academy hosted a Rise Against Hunger meal packaging event from 2 to 4 in the afternoon with approximately 40 volunteers who made over 10,000 meals. 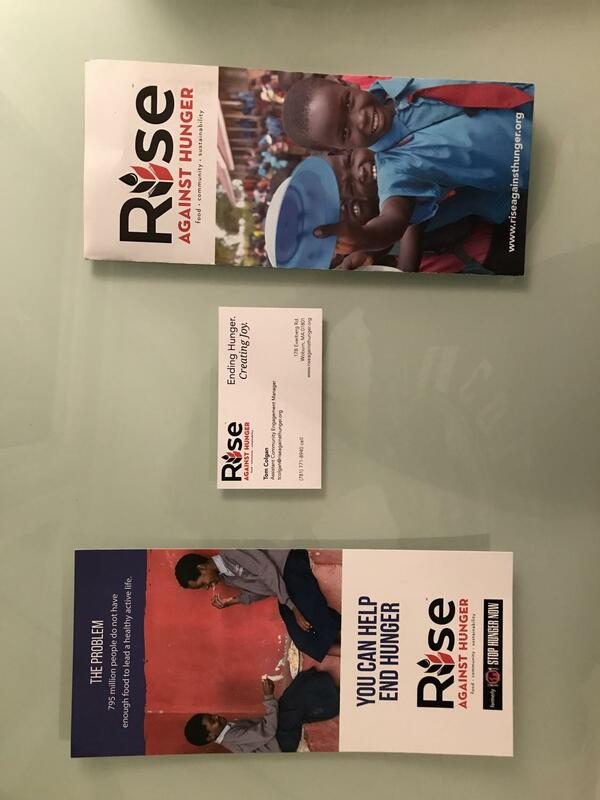 Rise Against Hunger is an international non-profit organization that is dedicated to ending hunger by 2030. 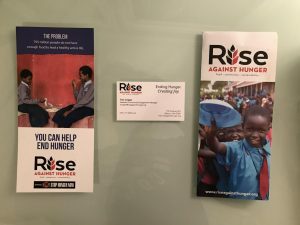 This hunger relief charity was established in 1998 by Ray Buchanan, a United Methodist minister, originally as Stop Hunger Now and was then rebranded as Rise Against Hunger in 2017. 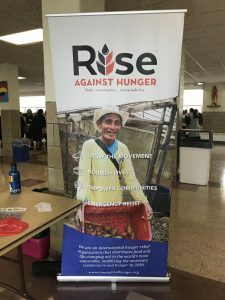 Rise Against Hunger’s approach to eradicating hunger is centered around providing millions of meals to areas in need, responding to natural and man-made crises, and empowering communities at the grass roots level. Rise Against Hunger poster positioned at the entrance of the school cafeteria during the event. 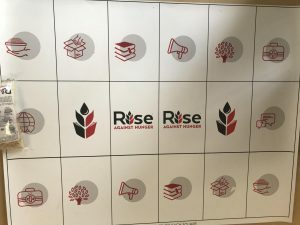 Rise Against Hunger mat used to organize meal bags before boxing them. 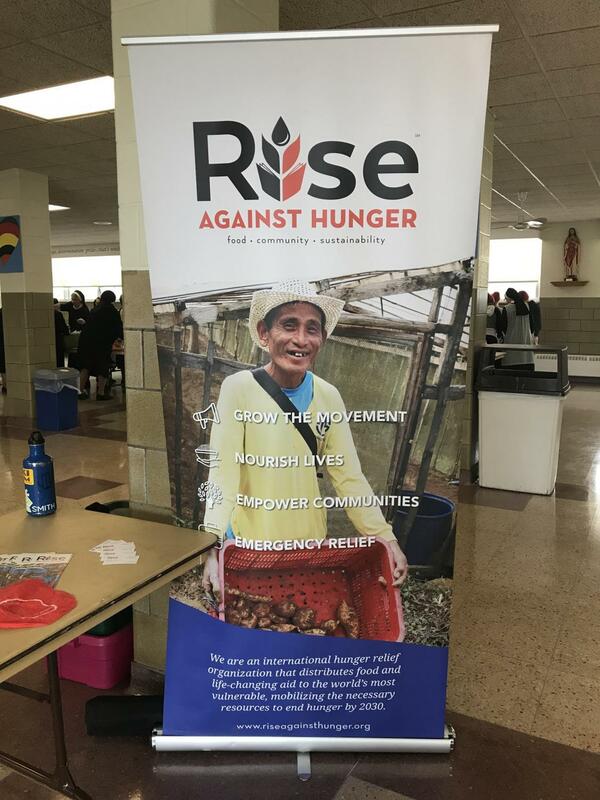 Rise Against Hunger banner positioned at the entrance of the school cafeteria during the event. 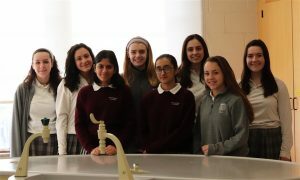 In preparation for this Lenten project, SHA’s Campus Ministry coordinators, Ms. Blair Destito and Sr. Elizabeth Doyle, set out to gather the 40 volunteers and $3,000 needed to make the projected 10,152 meals. 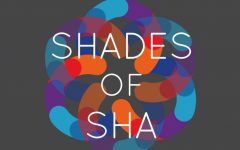 Through the Campus Ministry web site, members of the SHA community were able to donate to the cause or sign up as volunteers. 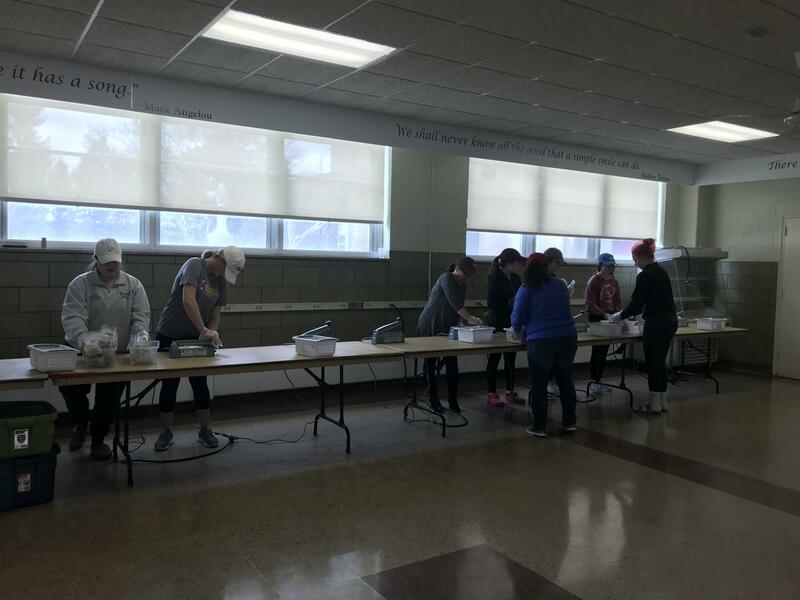 Additionally, there were donation buckets in the cafeteria during the two lunch periods for students to contribute if they so desired. There also was a fundraising bake sale held on Friday, March 2nd, which raised $611. The meal bags being packaged by volunteers. The bags being sealed by volunteers. The bags being boxed by volunteers. 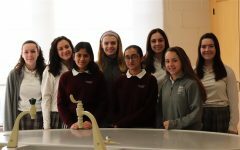 SHA’s meal packaging event was led by Tom Colgan, the Assistant Community Engagement Manager for Rise Against Hunger. 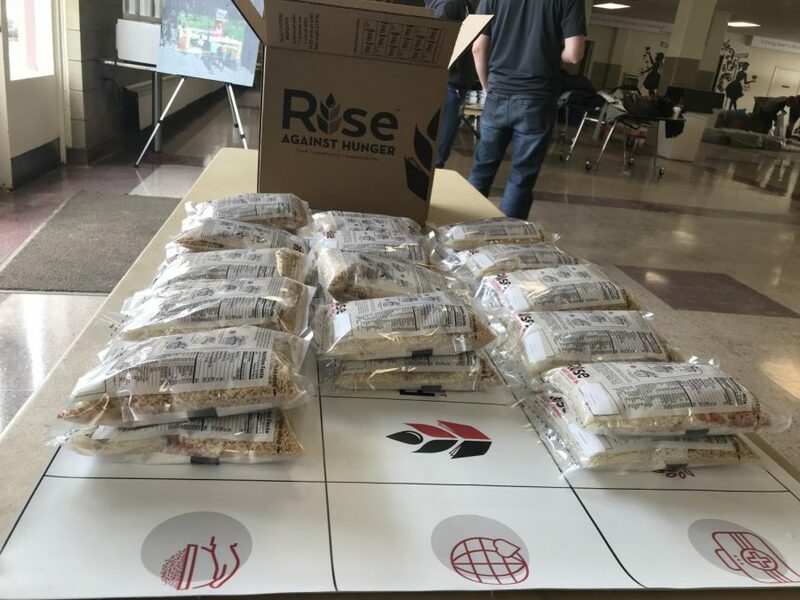 Volunteers were split into four groups, each with their own task: packaging the meal bags, sealing the bags, boxing the bags for shipment, and transporting the bags between these stations. The rice-soy fortified meals being packaged, which consisted of rice, flour, dried vegetables, and a micronutrient blend of vitamins and minerals, could feed up to six people. 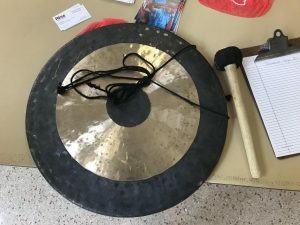 Gong that was struck whenever 1,000 meals had been packaged. 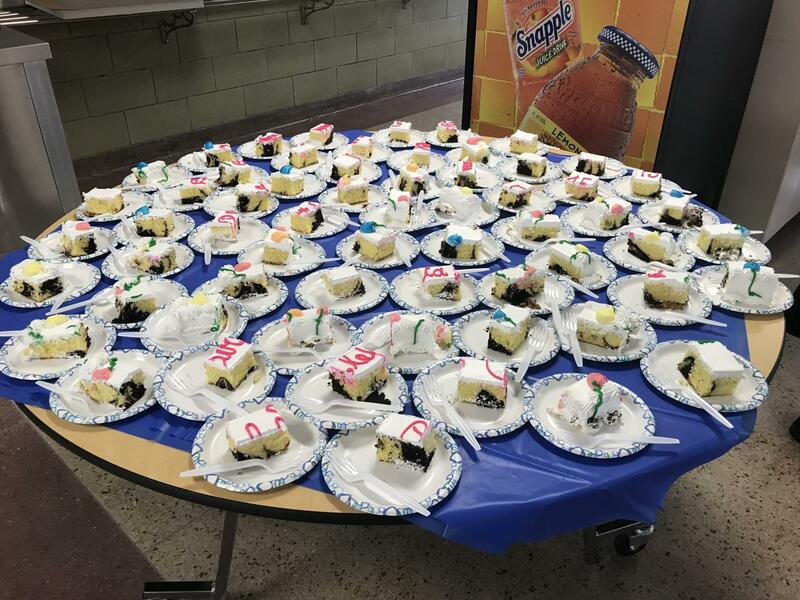 Slices of cake for the volunteers in honor of Blessed Clelia Merloni’s 157th birthday. 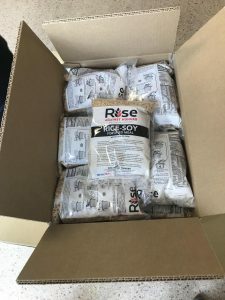 Completed box of 36 meal bags. As the volunteers worked, they also had a lot of fun. 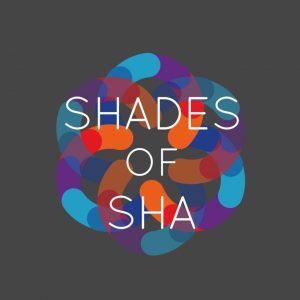 Pop songs, featuring artists like The Beatles, Michael Jackson, and Bruno Mars, blasted from stereos and got everyone in the school cafeteria jamming to the beat. 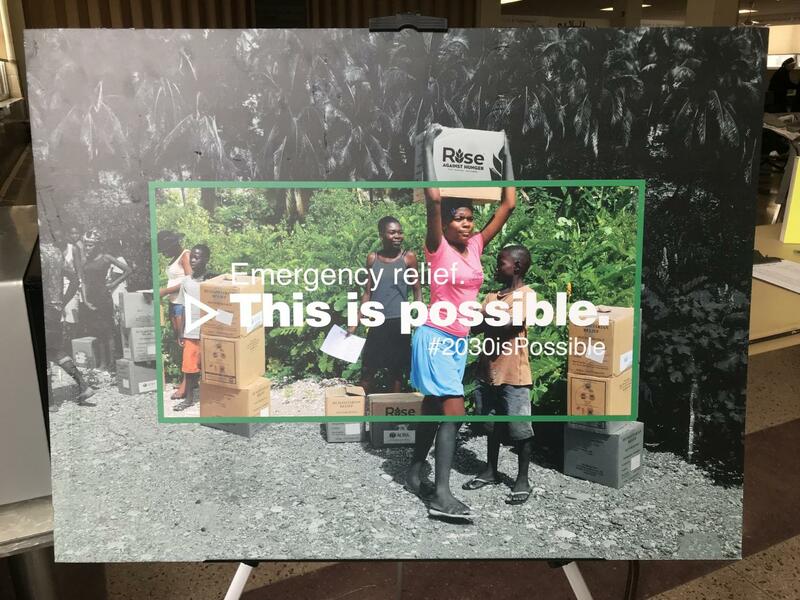 To further the excitement, a gong was struck every time 1,000 meals were packaged, and everyone would pause for a moment to cheer. 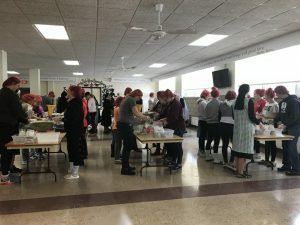 After all the meals were packaged, there was a small celebration in honor of the 157th birthday of Blessed Clelia Merloni, the foundress of the Apostles of the Sacred Heart of Jesus. 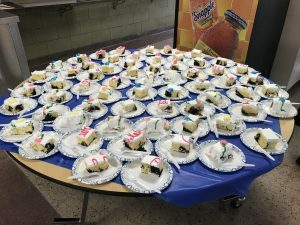 Attendees got to enjoy pieces of savory birthday cake and the satisfying feeling of serving others. In all, this event was very enjoyable and left volunteers with a sense of fulfillment. 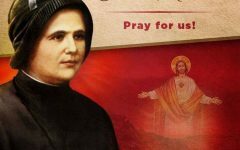 It was the perfect way to get into the Lenten spirit of service and to commemorate the birthday of Blessed Clelia. 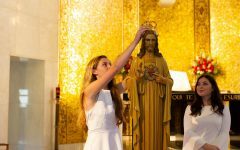 I hope we can all continue to be filled with joy and share this joy with others through service during this holy time of year and beyond.